Whitmore Press poets Carmen Leigh Keates and Andy Jackson are guests at the Queensland Poetry Festival, currently being held at the Judith Wright Centre of Contemporary Arts, Fortitude Valley. Along with a host of stellar Australian and international poets, Carmen and Andy feature in the multitude of readings, discussion panels, book launches and workshops on offer at the festival. Other guests include Ali Cobby Eckermann, Stuart Barnes, Bronwyn Lea, Eileen Chong, Kit Kelen, Bella Li and David Musgrave, among many other talented poets. Full guest list and program are available on the Queensland Poetry Festival website. Jill’s 2015 collection sits alongside those by other distinguished poets whose works have also been shortlisted: Peter Boyle, Paul Hetherington, Antigone Kefala, John Kinsella and Ellen van Neerven. More details at the State Library of New South Wales website. Meanwhile you can order a copy of Jill’s book here. Following the hugely successful launch of Eddie Paterson’s new collection at Melbourne’s Bella Union Bar on 1 February – thanks to Amy Brown for a brilliant launch – copies of redactor are now available for ordering online. Click on the icon below, or go to the titles page and fill the trolley with Eddie’s and other poetry treasures. redactor uses found texts from the everyday – emails, memos, notes, lyrics, text messages, tweets, webfeeds – as poetic material. Drawing on techniques from the visual arts and radical writing such as the ready-made, the cut-up and the concrete poem, Eddie Paterson reflects upon the ways in which the historical legacy of censorship intersects with contemporary surveillance technologies. Recent Whitmore titles are also available at selected bookshops, including Collected Works, Melbourne; Paton Books, Geelong; Gleebooks, Sydney; and Avid Reader, Brisbane. Launch by poet and novelist Amy Brown. If you’re in or near Melbourne, we hope you can come along and help celebrate Eddie’s book – a timely one following the inauguration of a Twitter-obsessed US president. 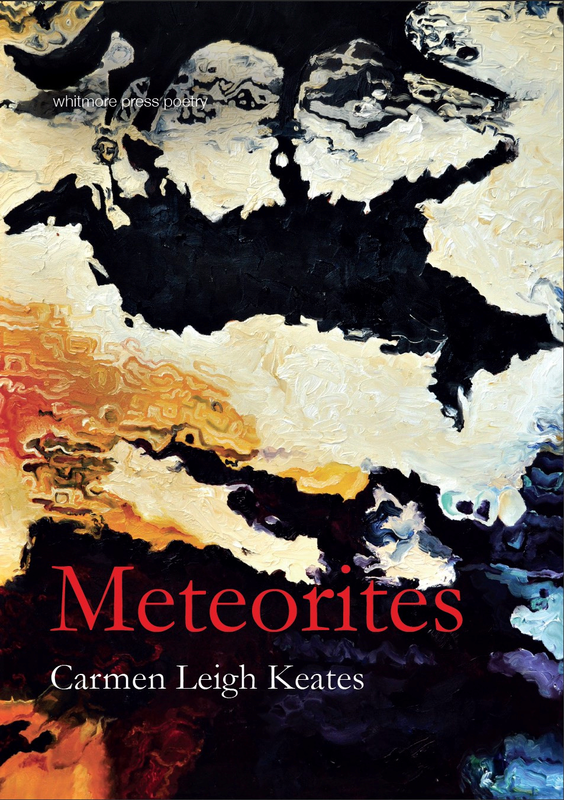 Carmen was the winner of the 2015 Whitmore Press Manuscript Prize. Her collection draws on her experiences of cinema and of travelling to regions in Scandinavia associated with iconic films – think Bergman, Tarkovsky. If you’re in or near Melbourne, we hope you can come and help celebrate Carmen’s superb first book. All welcome. Can’t make the launch? Order an advance copy now!